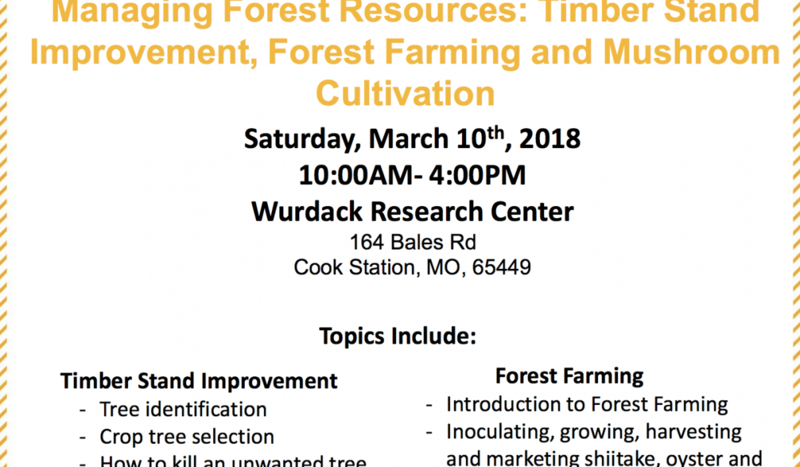 When: Saturday, March 10th, 2018 from 10:00 a.m. to 4:00 p.m. 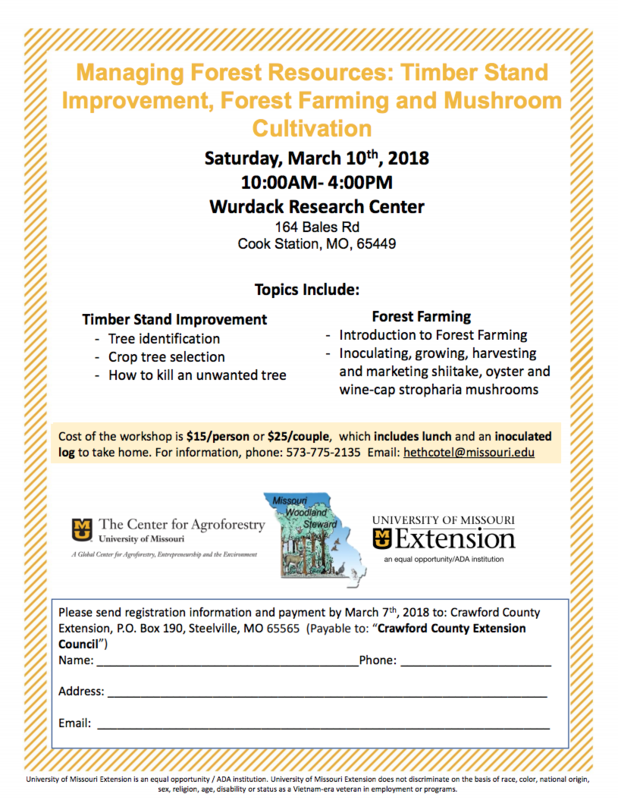 Cost of the workshop is $15 / person or $25 / couple, which includes lunch and an inoculated log to take home. For information, phone is 573-775-2135. Email is hethcotel@missouri.edu. Please download this form to register for the workshop.